Gracie Janice Roberge, passed away Sat. Aug. 18, 2018. She was born Dec. 21, 2015 to Timothy and Janice Roberge. Gracie was full of energy and loved Mickey Mouse Clubhouse, Poppy from the Trolls and Moana videos. She also loved eating beef jerky with her dad. Besides her parents, she leaves her loving sisters- Mya, Destiny, Jaidyn and Alyssa. 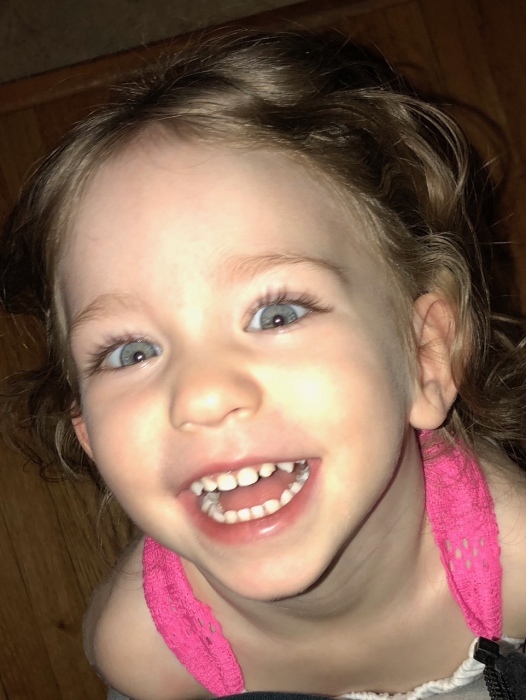 Gracie also leaves her grandparents; Ken and Michelle Kovitch, Nancy Roberge, Carl and Barbara Roberge and Ken and Lynn White, her great grandparents Alice Kovitch and John and Judy Dembek and many extended family members and friends. Gracie was predeceased by her great grandparents; Charles Kovitch, Clemente Kovitch, Maurice and Yvonne Roberge and Arthur and Madeleine Nareau. Family and friends may meet for Gracie’s Funeral Mass on Saturday at 10 AM in St. Elizabeth Church, 181 Hubbard St., Ludlow, MA. Burial will follow in St. Aloysius Cemetery, Berkshire Ave., Spfld. Calling Hours will be held FRIDAY from 4 to 7 PM at the WILBRAHAM FUNERAL HOME, 2551 BOSTON RD., WILBRAHAM.